Playing with the theme of mixing things up, last year’s event saw some of the world’s biggest DJs take part in this great cause, working behind the bar instead of the Mambo DJ booth for the evening while the public volunteered to mix the beats, many of whom received coaching from the A-list names present, in exchange for a charitable donation. The venue raised a monumental 31,000 Euros on the night. Last year’s line-up included Armin van Buuren, Carl Cox, Eric Prydz, Judge Jules, Roger Sanchez, Hernan Cattaneo, Nervo, Jamie Jones, Seth Troxler, Cassius, M.A.N.D.Y., Funkagenda, Woody van Eyden and Mark Fanciulli and this year’s line-up promises to be equally good. For those who are unable to make it to the White Isle for this event, you can donate at https://www.cruzroja.es/mambointhemix, and links posted through the Facebook group https://www.facebook.com/mamboibiza and Twitter account @mamboibiza. All proceeds from the party will be given to the Red Cross (Cruz Roja Ibiza) http://www.cruzroja.es. 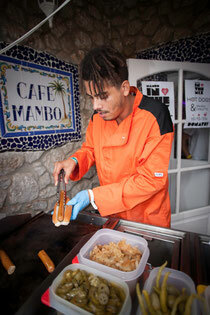 Mambo In The Mix kicks off at Cafe Mambo from 7PM – 12AM.